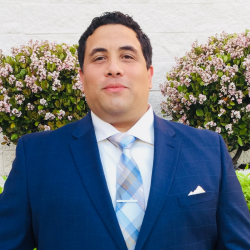 As a Business Consultant of World Advisory, Edward Ochoa is highly passionate about connecting with others and helping people. Raised by small business owners and having started numerous businesses since a teenager, it’s safe to say Edward has been surrounded by entrepreneurship his entire life. He has knowledge and experience in a wide variety of industries and aspects of starting and growing a business. Widely considered by many as the “go-to person” for everything from filing paperwork to language translation to internet marketing, Edward is truly a natural when it comes to problem solving. He is currently finalizing his degree in Business Administration and is an active volunteer with youth outreach programs, sport programs, fundraising efforts, and a variety of community events. Edward resides in Chico, CA, but divides his time between Chico, Sacramento and the San Francisco Bay Area.